With Barcelona’s late coup for Frenkie de Jong complete, check out what the budding Dutch star brings to the Camp Nou. Former Chelsea man Frank Leboeuf has been so impressed by Ajax’s youth that he feels they have what it takes to get past Juventus in the Champions League. Alexis Nunes and Steve Nicol run the rule over the latest transfer rumours in the world of football. Nike played a key role in Frenkie de Jong‘s decision to reject an offer from Paris Saint-Germain and sign for Barcelona, sources have told ESPN FC. The company, a sponsor of both Barca and De Jong, will pay a large amount of the midfielder’s salary, sources close to the club said. ESPN FC’s experts ranked the best men’s players and managers in world football. Check it out. ESPN and Marvel teamed up to turn our favorite soccer captains into galaxy-dominating superheroes. In February, De Jong agreed a deal to join Barcelona from Ajax for €75 million and will make the move to the Camp Nou in the summer. In January, ESPN FC sources had said PSG were confident that they would beat Barca and Manchester City to his signing. 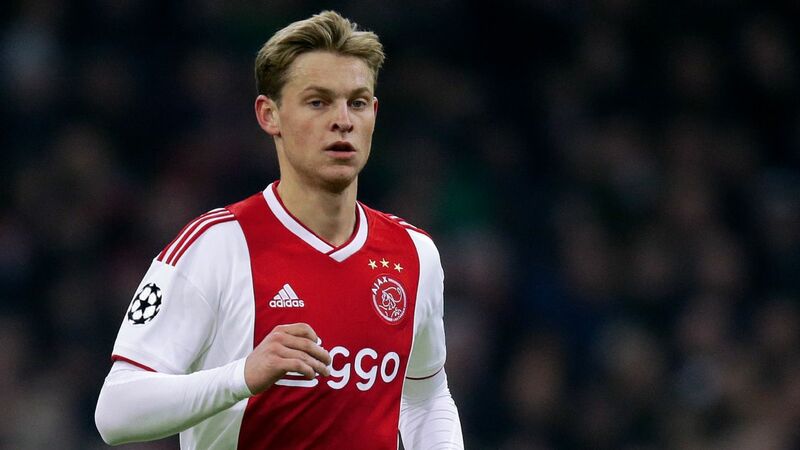 However, it soon became clear that Barca had moved into pole position after sending a delegation to Amsterdam to meet De Jong and his representatives. The sources said Nike was not contributing to the transfer fee but investing a “very important amount of money” in wages. Executives believe the 21-year-old’s achievements during his time at Barcelona will see the return exceed the investment. For marketing purposes, Nike has asked De Jong to use his first name rather than his surname on the back of his shirt. “I’m not sure of doing it,” De Jong said after signing. Nike and Barcelona have maintained a close relationship since 1998. In 2016, they agreed to extend their partnership until 2028, with the club receiving €105 million per year plus a bonus that can reach up to €160 million if certain incentives are met.